Ok so maybe it is cha-cha changes but today it is going to be ja-ja-jaded. I am jaded for multiple reasons this fine Monday morning. One being, I just love the shade of jade. Any and everywhere. 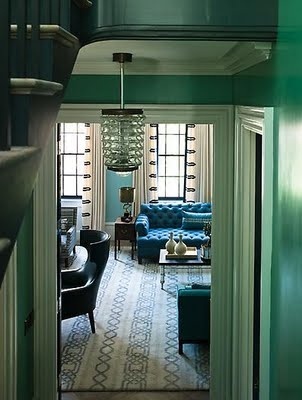 I mean, I love any variation of the hue of green: emerald, chartreuse, kelly, lime...the list goes on, but jade is such a special and rich shade. Two being, it is Monday and this would be my attitude on any average Monday. I will say, we had a fabulous weekend with some fabulous friends. This week will call for a detox, which also includes ingesting jade-ish items. I digress. 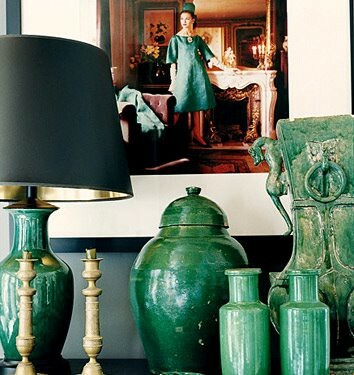 Today we will talk about the jade like items you can add to your home, and not to your face. 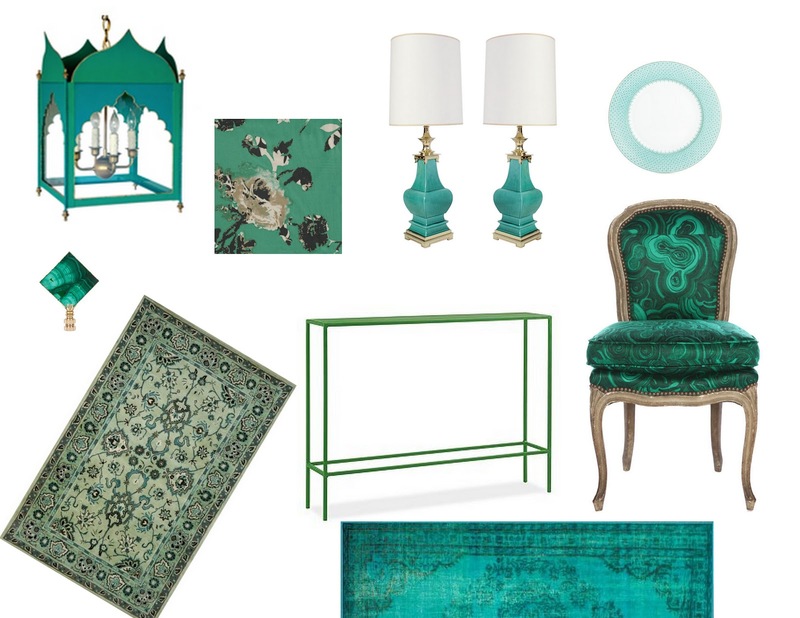 So I got on this color craze recently due to me wanting jade lamps in our dining room. I know this will come as a complete shock to you, but I could not find them. Well, what does a girl like me do when she is trying to find the impossible dream? She buys spray paint. You got it. Jade lamps I now have. More on that later. 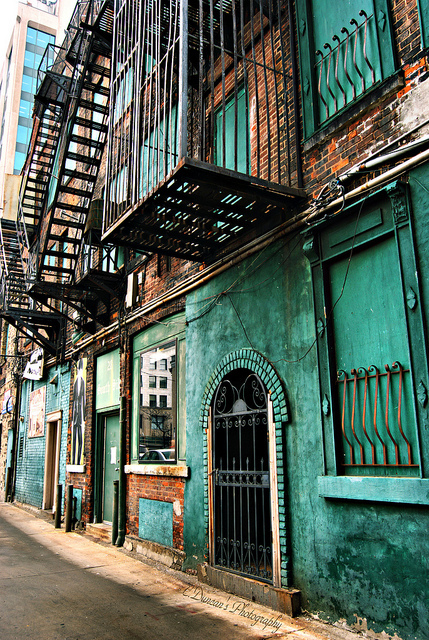 Let's look at some jade spaces. See? It is even better than emerald could even imagine to be. Use jade. Have a fabulous Monday my sweets. Beautiful. I've been crushing on that rug for a while now! oh, i have missed your fabulous eye! jaded. for sure. using jade, check! 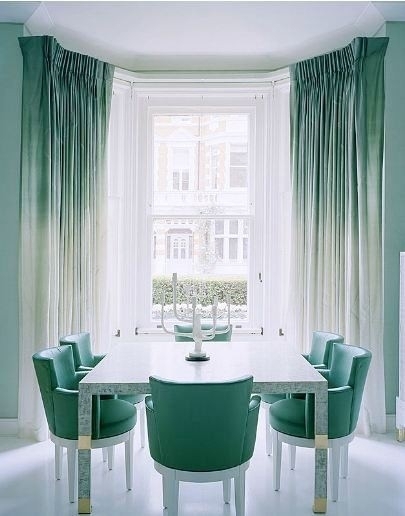 Ombre jade curtains!! Love them! Happy Monday sweets! Gorgeous. Can't wait to see your lamps! 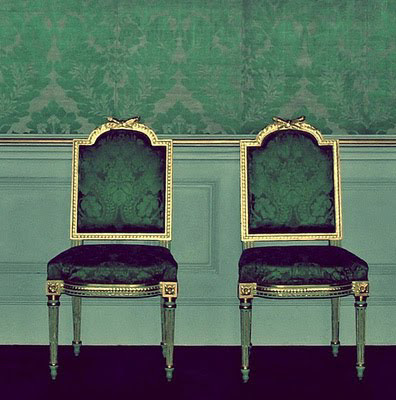 I'll take one of those malachite chairs please- all gorgeous! 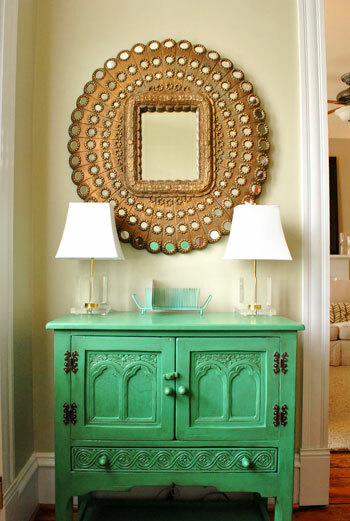 I am obsessed with all things malachite! this is just the pop to jumpstart this dreary monday am. thanks linds! Loooove this color. 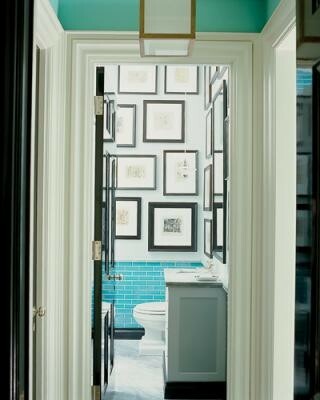 That wallpaper you picked is fab too! my favorite color!!! I love these.....great round-up. Lovely! I've never been too big into green but lately I've been swayed. These pictures are great. 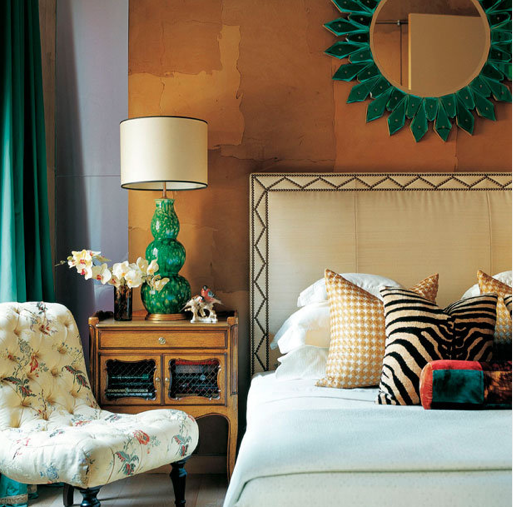 Love those ombre jade curtains!! Oh holy hotness!!! A year ago I would have puked at the mention of green in my home, and now, wouldn't ya know, I can't get enough! Can't wait to see those lamps!